Amy Adams Archives - Horror News Network - The Horror News You Need! The folks at HBO have just released a teaser trailer for their upcoming Sharp Objects miniseries to coincide with the premiere of Westworld Season Two. The clip for the show- which is based on a novel by Gillain Flynn (the author of Gone Girl)- does not reveal many plot details, but it highlights numerous interesting characters and set pieces from the series. The full trailer for Arrival, starring Amy Adams, reveals the lengths one woman will go in the race to understand an alien species. Last week we posted the first teaser for Paramount’s upcoming alien invasion film, which gave fans minimal plot details. 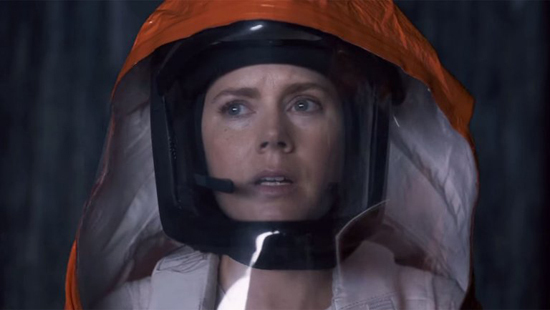 The first teaser for Paramount’s alien invasion thriller Arrival, starring Amy Adams as a linguist recruited by the government to attempt alien communication, has landed. Jeremy Renner and Forest Whitaker co-star in the film which centers on the arrival of an alien race whose spacecrafts take up residence on Earth for reasons unknown.